Vancouverites typically aren’t big buddies with fine dining. We can do it no problem, but on the whole we like things cheap, cheerful and delicious with little fuss and absolutely no pretension. Here are ten of our favourite cheap eats for your ranking consideration (psst…if it’s noodles you’re after, we’ve got you covered here). No frills spot successfully fiddles with flavours from across Southeast Asia with prices that are hard to fathom. Hot soups are just $4 each. Think electric Tom Yum with tofu, aromatic Tom Kha Gai with chicken, and gut-sticking wonton! What do you do when you want papusas and a Boston cream doughnut at 4am but your friend wants greasy chow mien and a bacon cheeseburger? You go to Duffins. Legendary for its seemingly endless menu and dirt cheap prices. This charming, day-time only joint conjures up beautiful and totally random home-cooked meals every day. It could be Bahn Mi and key lime pie one day and shrimp gumbo with peach cobbler the next. Open for dinner on Friday nights. The wagyu beef sandwiches with pho broth for French dipping are outstanding, but the signature lemongrass fried chicken bao buns are still tops and a crazy bargain at $6 per. They also do a fried chicken sandwich of note. Pounce either way. This charming speakeasy hidden above Campagnolo is a restaurant industry cantina with counter service cocktails and the best burger in the city. 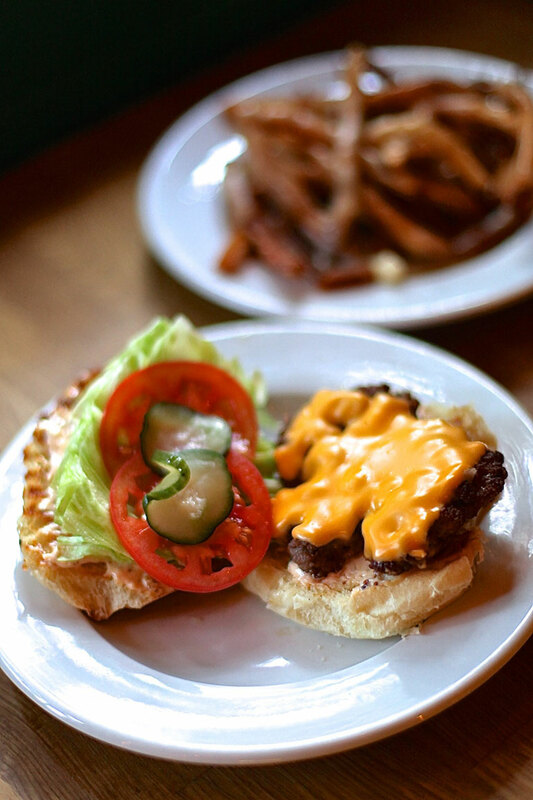 Don’t be fooled by the Dirty Burger’s diminutive size. It’s not kidding around. Beer and sausages are always a solid combo and these good folks have brought a corner of Germany to the center of Chinatown. From fat little currywursts to soft pretzels with “stinky cheese sauce”, you can be sure es schmecht sehr gut. Daytime-only Pazzo Chow is pretty adorable, and it has an Instagram feed to drool over. The abrupt menu consists of thoughtfully paired salads, pastas and surprises. Bonus: spaghetti & meatball dinners on the last Friday night of the month. Which is your favourite spot for Cheap Eats?